Potzus Ltd is one of Saskatchewan’s largest civil construction companies. Established in 1966 we are a second generation family owned and operated business. We provide top quality work to the Government of Saskatchewan, various municipalities, First Nations and the private sector. Day to day operations include excavation, earth moving, site development, aggregate production, and paving. Potzus has been COR certified for almost 20 years. We were one of the first ten companies in the province to achieve this certification. We have been a contractor-member of ISNetworld since 2011. We have designed and constructed projects from $1 million – $20 million dollars. We are one of the largest asphalt paving, and aggregate producing companies in Saskatchewan. We were the second provincial company named to be used on the $1.8 billion Regina Bypass. Saskatchewan’s largest infrastructure project ever. We played an instrumental role in the bidding and design process. Potzus employees up to 150 local employees during construction season. 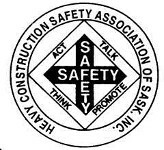 We continually offer numerous job specific training and safety training to all our employees. 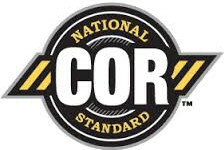 Some employees have become National Construction Safety Officers (NCSO’s). copyright 2019 - Potzus Ltd.